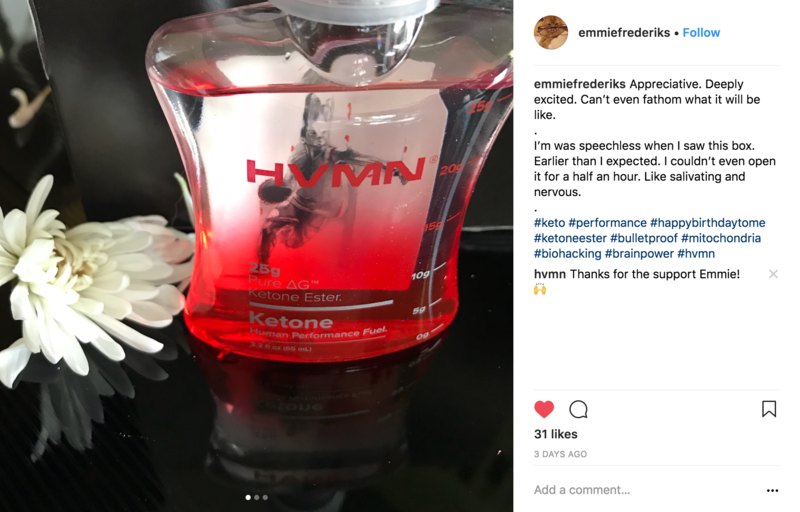 Our first tranche of HVMN Ketone went out last week to the first people in queue. To those early folks, I hope we delivered a nice Easter weekend surprise! We’re already starting to get phenomenal feedback from some of you, and trust me, our entire team reads and appreciate every single note. Whether you’re using it as a boost for athletics, a crutch for intermittent fasting, or other experiments with rapid elevation into ketosis, we’d love to hear your story. Tag us @hvmn or #hvmn (Twitter, Instagram, Facebook) or email us directly. "Appreciative. Deeply excited. Can't even fathom what it will be like. I was speechless when I saw this box. Earlier than expected. I couldn't even open it for half an hour. Like salivating and nervous." 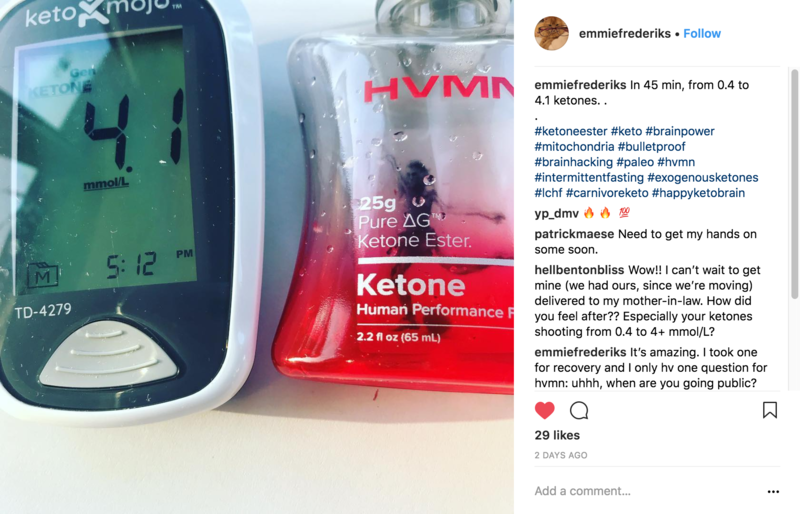 "In 45 min, from 0.4 to 4.1 ketones." For those pre-order customers still waiting, we’re working as fast as we can to deliver. You’ve already received an email from our team to update your billing and shipping info. Again, we don’t charge until your shipment is ready, and no need to respond if the information is still the same. The next tranche is scheduled to go out in the next couple weeks. By the end of April, we expect to bring HVMN Ketone out of “pre-order” status and into full availability mode. This means we’ll be able to fulfill orders within a business day. This is an important milestone; our entire team and I appreciate your role as a founding part of the ketone ester journey.